← Larry’s Beans of Raleigh Introduces Their Awesome Cold Brew Coffee! One of the main goals of this blog is to get the word out and help support local businesses here in the Triangle. I also love to share news about local businesses working together. Especially when they are working together to create a new beer! Fullsteam Brewery is one of my favorite breweries in the Triangle. Their dedication to quality craft brewing and commitment to community has had a huge impact on the revitalization of the Rigsbee Avenue area of Durham over the past two years. 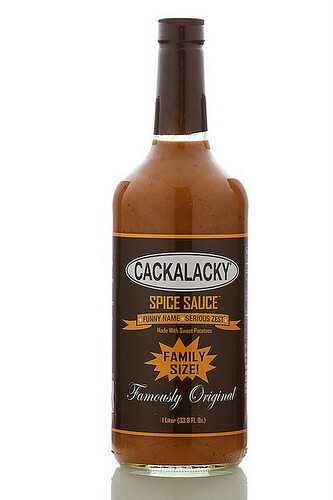 I was only recently introduced to Cackalacky, but upon first trying the locally made sweet potato based spice sauce at the TerraVITA Food & Wine event back in November I became a fan instantly. So I am happy to share the news about the collaboration of these two great local operations to introduce a new beer for us all to enjoy! Fullsteam Brewery and Cackalacky invite the public to attend the Cackalacky Ginger Pale Ale Launch Party on Sunday, Jan. 27 from 3 to 5 pm at Fullsteam Brewery. See the official press release below for additional details. When Fullsteam’s new Cackalacky Ginger Pale Ale (GPA) splashes into the NC beer scene later this month, Sean Lilly Wilson and collaborator Page Skelton are determined to pour up some fun. It’s a beer to drink with friends, made by friends. 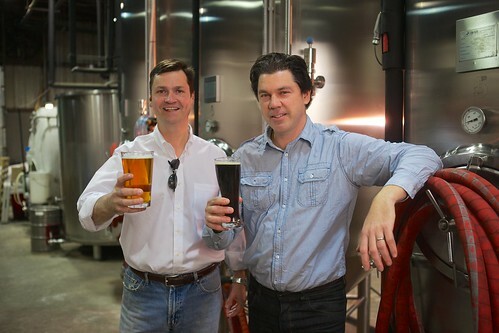 Skelton and Wilson met each other through the Southeast Microbrewers Association more than ten years ago. The organization is now defunct, but the passion for beer and entrepreneurial bravado still burns brightly in both parties. This January, the Triangle will have the first chance to taste the lively new pale ale, spiked with ginger rather than spice sauce. WHEN CAN YOU DRINK IT? WHERE CAN YOU FIND IT? Fullsteam is currently brewing its first commercial batch of Cacklacky and plans to offer the beer in cans sometime this year. Fullsteam Brewery and Cackalacky invite the public to attend the Cackalacky Ginger Pale Ale Launch Party on Sunday, Jan. 27 from 3 to 5 pm at Fullsteam Brewery. The launch is perfectly timed on National Kazoo Day Eve. Kazoo playing skills are not required for admission but you may be required to play one in order to leave. Fullsteam will donate half of all profits made from Cackalakcy Ginger Pale Ales sold that afternoon to Funds To Farms. The first batch of Cackalacky Ginger Pale Ale is fermenting away under the watchful eye of Fullsteam’s head brewer, Chris Davis. 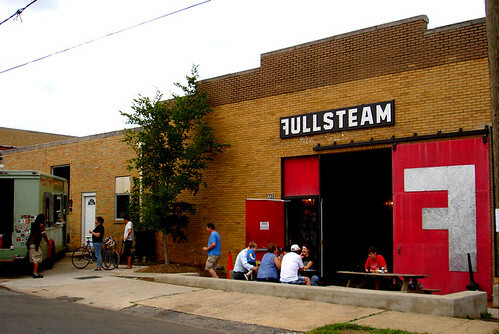 Visitors can see the brewing in action at Fullsteam Brewery, 726 Rigsbee Avenue in the D.I.Y. District in Durham. Beginning Jan. 27, the beer will be available only on draft at the brewery, but look for expansion later in the year through distribution channels in the Triangle, Charlotte, Washington D.C., and and Charleston, S.C.